I love Greek yogurt and eat a giant tub of it every week, but go with regular whole milk yogurt for tandoori marinades, the clinging remnants of which won’t scorch on a hot grill. The second whole milk yogurt component is the spicy coriander dipping sauce. Why so much yogurt? Because Indian people love yogurt. You can find both prepared coriander chutney and tandoori spice powder, also known as tandoori masala, at any Indian or Middle Eastern grocery. If you really want that bright pink tandoori chicken hue you get at your local curry joint, add a couple of drops of red food coloring to the marinade. Combine yogurt, tandoori spice, ginger and garlic in a large zip-top freezer bag and season to taste with kosher salt. Add in chicken wings, seal the bag and squish around with your hands to coat the wings in the marinade. Refrigerate overnight, resquishing the bag once halfway through. Combine yogurt, chutney, cumin and chili pepper in a small bowl and add salt to taste. Cover and refrigerate until ready to use. 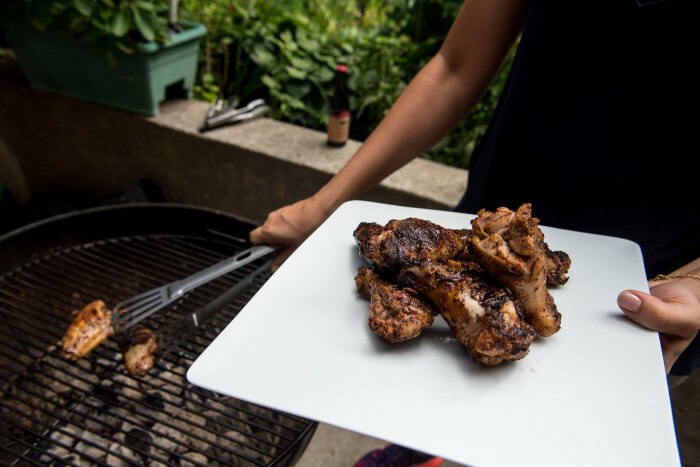 Heat a charcoal grill until the coals are glowing orange. 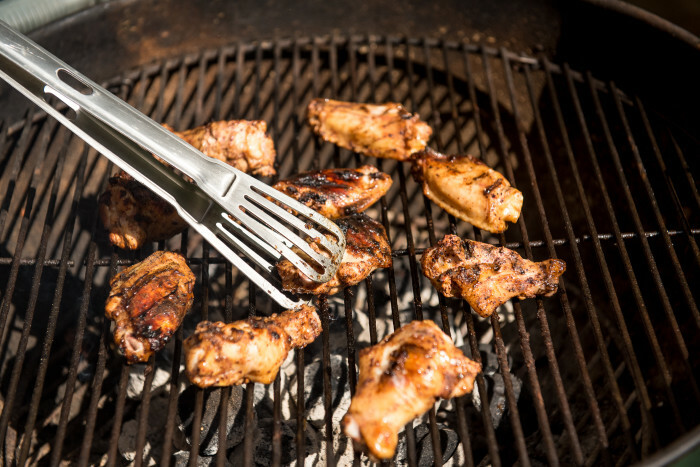 Arrange the wings on the grill, cover and cook without touching for 12 minutes. Seriously, don't touch, or the delicious skin will come right off. Remove the cover, turn wings, replace cover and grill for another 12 minutes. Remove cover, flip wings again and cook uncovered for five more minutes. 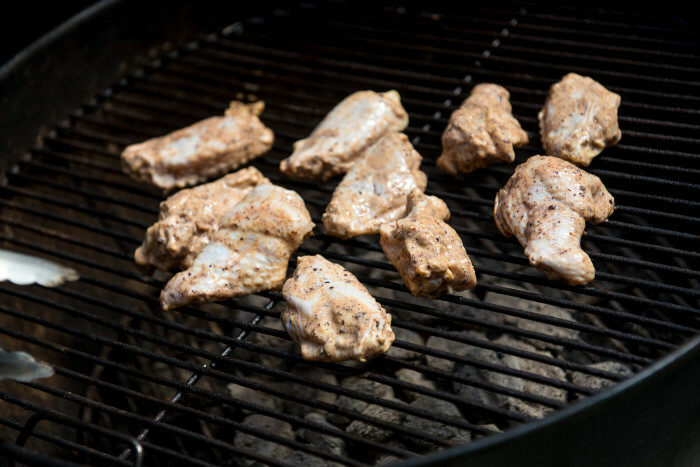 If they're beginning to scorch, move them away from the center of the grill. Transfer wings to a plate, let rest for about five minutes, then sprinkle with chopped cilantro. Serve with dipping sauce and lime wedges.